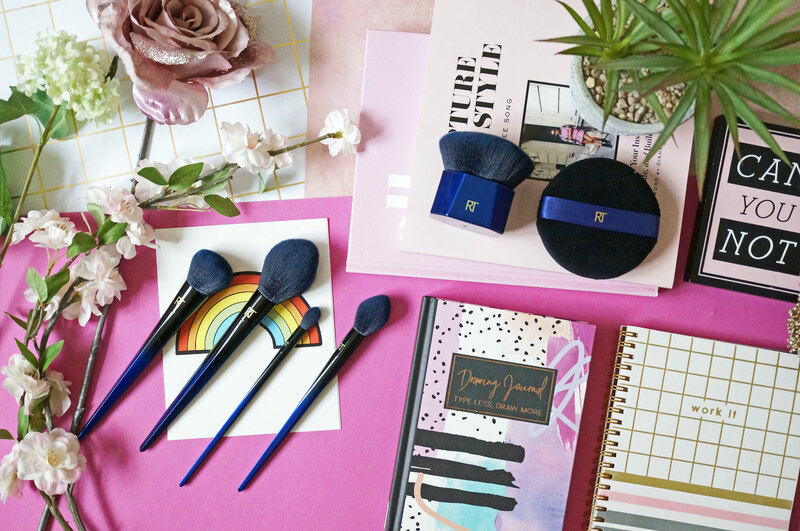 The Powder Bleu range of brushes have been specifically designed by Real Techniques to apply, blend, buff and set powders without disturbing the make-up underneath. They have the signature Real Techniques long sleek handles, similar to the Bold Metals range, but this time the colour-way is navy blue, bleeding into black for an ombre effect on the brush handles. 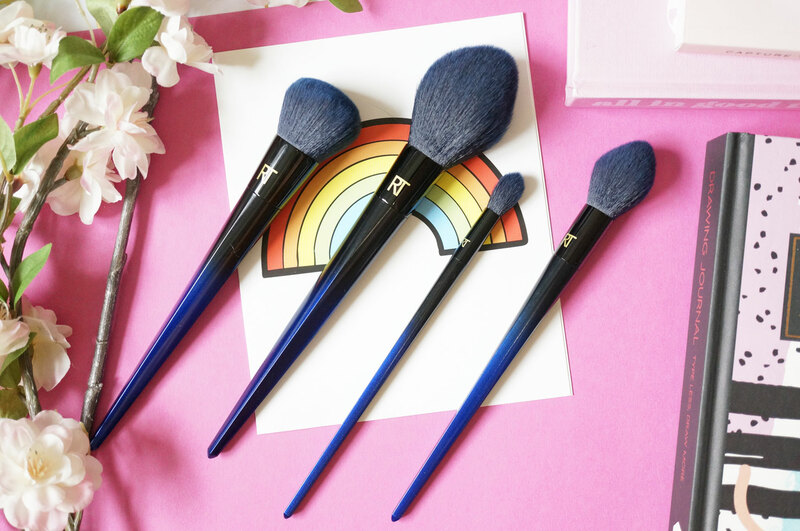 You probably wouldn’t have guessed, but this brush collection is in fact based on blue squirrel hair, which is known for its fine filaments, luxurious softness, and flawless powder application. It’s said to be quite rare, and used in only the most expensive makeup brushes. Real Techniques have re-created their own synthetic version of blue squirrel hair with their new FauxBleu™ Technology – they promise their synthetic bristles perform just as well as the real thing. 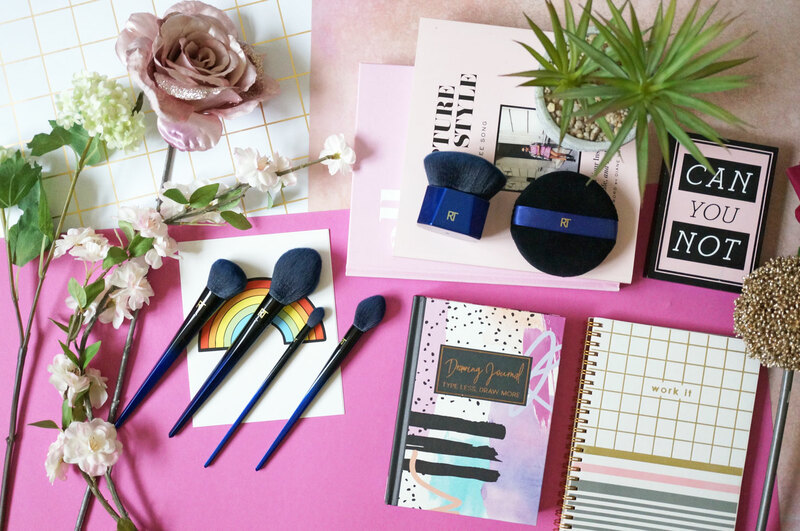 Starting with the B05 Soft Kabuki Brush (£25.00) – This super large kabuki brush has been designed to buff and blend powders into the skin, anywhere on the face and body. The handle is solid and easy to hold, and the bristles are super soft. Personally for me I find this a little too large for use on the face, but it’s perfect for buffing in both bronzer and highlighter on the neck, chest and shoulders. Next the Plush Powder Puff (£12.00) – This soft, velvety powder puff has been designed to help tap on just the right amount of powder to set any makeup look. Again this is pretty large, but it’s also flexible so I don’t mind the size. The finish is amazingly soft, almost like velvet, and it does a great job of pressing loose powder into the skin for both baking and setting your makeup. And now on to the brushes, from left to right above starting with the B03 Soft Complexion Brush (£22.00) – this brush has a domed, soft yet dense head that has been designed specifically to blend and buff powder foundation into skin for buildable, customizable shine-free coverage. Next the B01 Soft Powder Brush (£22.00) has has a large tapered head and is perfect for applying powder bronzers and highlighters, as well as loose powder foundations and finishing powders. Again as this is quite a large brush, it will work really well on both the face and body. The B04 Soft Shadow Brush (£15.00) is the only eyeshadow brush in the collection. This is perfect for layering and blending out powder eye shadows. The long soft bristles help to gently spread powder eyeshadow while blending it into the skin for a naturally diffused look. 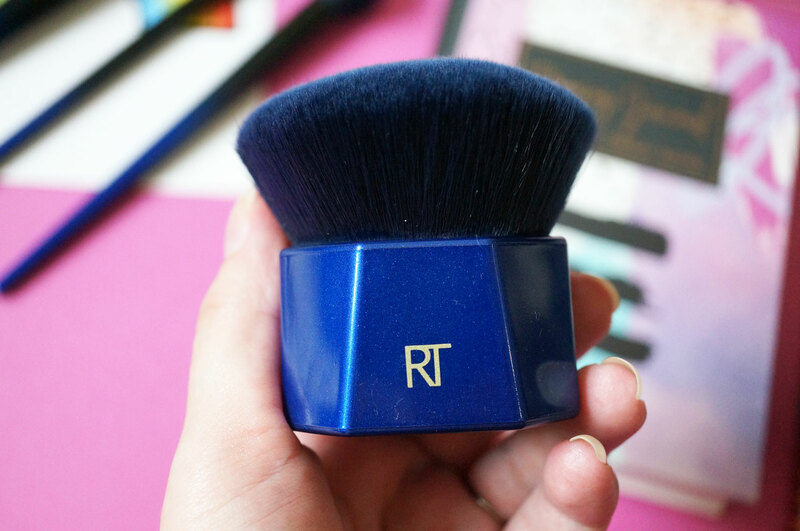 You can also use this brush for applying more detailed powder highlighter to smaller areas of the face such as the brow bone, tip of the nose, or chin. And lastly the B02 Soft Finishing Brush (£22.00) – this is very much like a mini version of the B01 Soft Powder Brush, but this time with a small tapered head. This brush is perfect for sweeping on powder blush or highlighter without upsetting any product underneath. This brush is just the right size to apply a light cheek contour too. The Real Techniques Powder Bleu Collection is available now exclusively at Boots. The new brushes are so pretty, need to try them!